Put this high-quality SVGA (HD15) male to SVGA (HD15) male + 3.5 mm stereo audio cable to work for you and connect a computer to a computer monitor for up to a 2048 x 1536 resolution with ease. This 75-foot cable is 100 percent shielded with a 25 percent minimum overlap using AL-foil and a tinned-copper braid to help reduce the chances of environmental and/or electromagnetic interference. 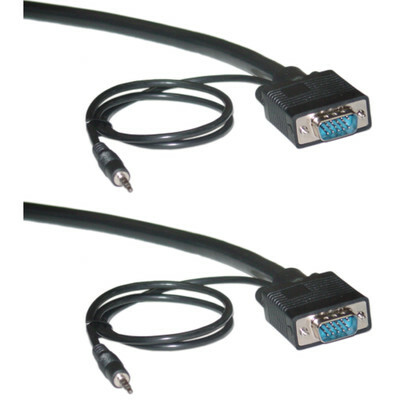 This cable's SVGA contact are gold plated reliable connectivity without corrosion, and the 3.5 mm stereo male end is brass and nickel plated.